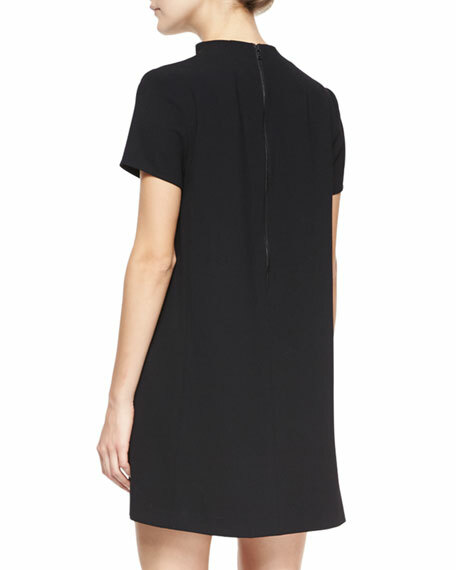 Alice + Olivia dress in crepe. Approx. measurements: 34"L shoulder to hem, 36"L center back to hem. For in-store inquiries, use sku #1520897.